With plenty of exciting restaurant openings constantly taking place across the Capital, here’s our pick of the best new restaurants arriving in London over the coming month. It’s been a long time coming, but Sosharu – the newest restaurant from Chef Jashon Atherton and Irha Atherton of The Social Company – is set to open next week. Marking the seventh London site from Jason Atherton, Sosharu will work as a Japanese izakaya-style restaurant, situated in the heart of Clerkenwell. As expected, the menu will have a strong focus on Japanese food, yet using British seasonal ingredients, while Head Chef Alex Craciun has spent copious amounts of time working in Japanese kitchens throughout the lead up to the restaurant opening. Expect a menu that’s comprised of small dishes, with sections dedicated to different specialities that include temaki, hibachi grill, yaki grill, tempura, sashimi and more. Dishes, meanwhile, will include the likes of bream sashimi with shichimi and crispy potato, scallop with yuzu butter and fresh nori, and sukiyaki Wagyu beef with glass noodles and young leeks. Sosharu is set to open on March 7th and can be found at The Turnmill Building, 63 Clerkenwell Road, London, EC1M 5NP. KOJAWAN, another 21st century izakaya restaurant will arrive in London this month, opening upon the 23rd floor of London’s Hilton Metropole, just minutes from Edgware Road tube station. 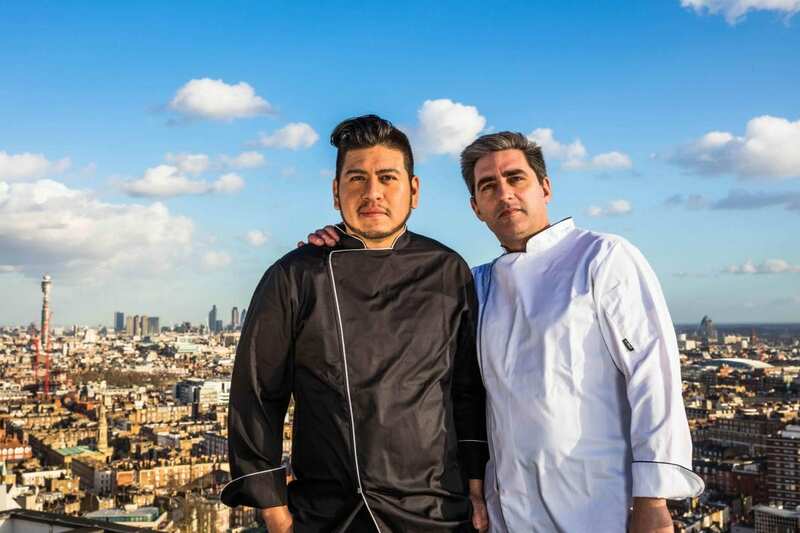 Joining the likes of nearby Galvin at Windows and the rest of the city’s high-rise restaurants – KOJAWAN’s breathtaking views are set to be accompanied by a menu comprised of soul food that’s inspired by Korea, Japan, and Taiwan, created by acclaimed chefs Bjorn Van Der Horst and Omar Romero. Already confirmed dishes include the likes of rice-sandwiches, glazed lobster dog with sesame-seaweed ponzu, and the restaurant’s own take on Eton mess, using lychee green tea meringue and sake cream. 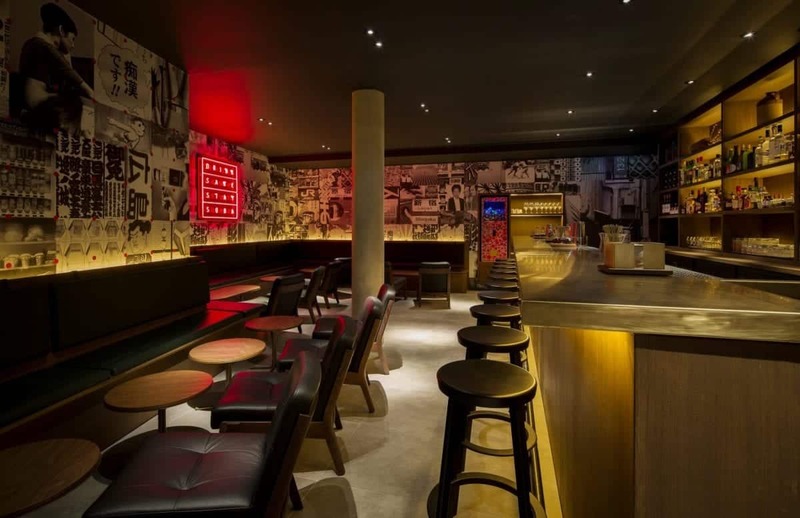 All of this will be joined by a drink program that features the first Kirin beer and raw bar in Europe, with signature drink ‘K-slurpy’ (cold beer with a frozen top) on offer to guests. 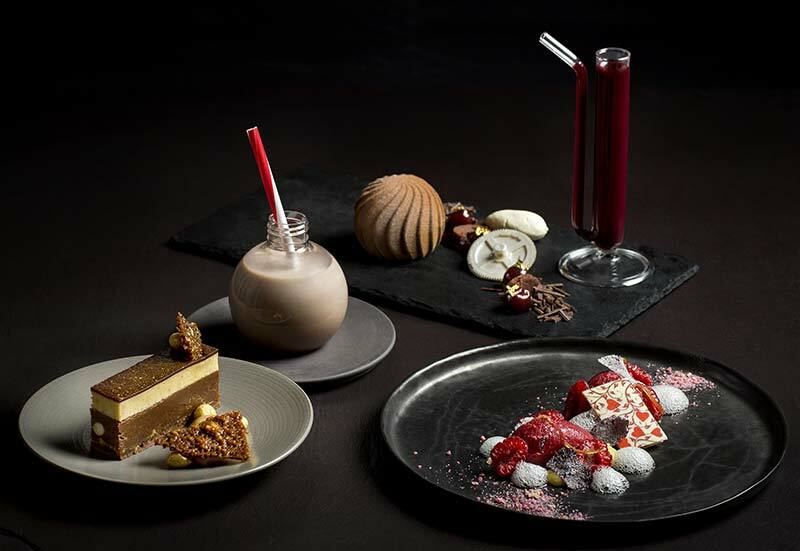 Taking over The Café at the Hotel Café Royal on Regent Street between 6-10:30pm, executive pastry chef Sarah Barber will be bringing the first high-end dessert restaurant to London. Set to feature three tasting menus, the restaurant’s focus will have dessert at the forefront, rather than working as an afterthought – as is the case in most London restaurants. Of the three menus, the Alice In Wonderland inspired menu is the most decadent, with five courses priced at £42 per person, with matching wines available for an additional £20. A three-course ‘Childhood Memories’ menu is also available priced at £26, and the ‘Pick N Mix’ menu (£34) will allow diners to choose four dishes from across the menu, some of which have a more savoury slant especially for guests with less of a sugar craving. The three dessert menus will be available from March 3rd at The Café, Hotel Café Royal, 68 Regent Street, London W1B 4DY. The debut solo restaurant from Ben Murphy – former Pierre Koffmann protégée and previous Young National Chef of the Year winner – has opened its doors in South Woodford. Set over two floors with space for 100 covers, and a dedicated oyster and seafood bar, it’s unsurprising that The Woodford’s kitchen specialises in French gastronomic techniques while using British ingredients wherever possible, especially considering Murphy’s experience working for the likes of Koffmann at The Berkeley, as well as three Michelin-starred Parisian restaurants Les Pres d’Eugenie and Epicure at Le Bristol. A specially crafted tasting menu will take the main focus, including the likes of Textures of Beetroot, Seared Scallop, Oven Baked Cod, Dingley Dell Pork, and Textures of Chocolate to finish. A set and a la carte menu will also be available alongside a grill section with focus on quality long-aged meats. The Woodford is open now and can be found at 159 High Road, London, E18 2PA. 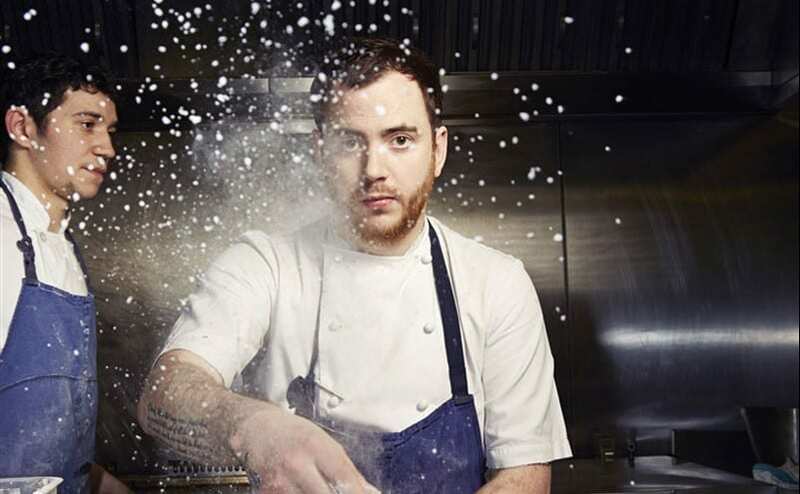 Taking over a space in Kensington previously filled by The Collection, Tom Sellers – best known for his massively acclaimed Restaurant Story – will launch his second London restaurant this month. 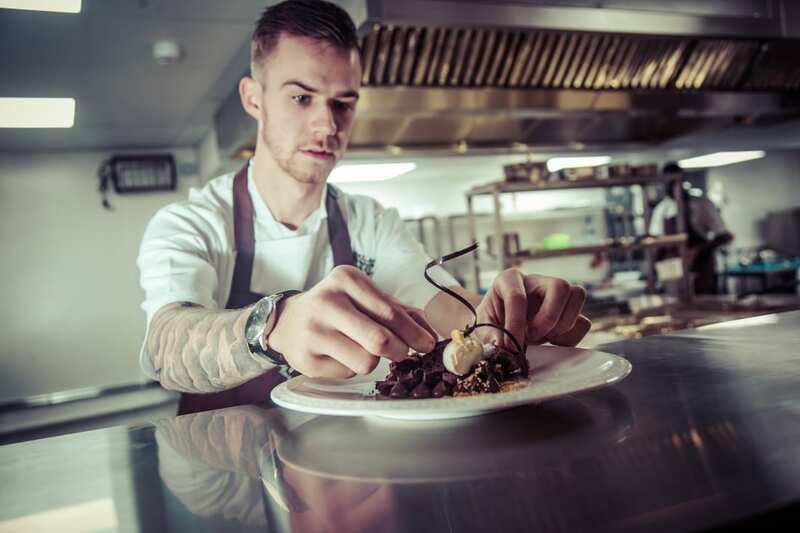 While Tom will be overseeing the menus, the restaurant’s Head Chef position will be filled by Daniel Phippard (previously of Ernik in Moscow, and London’s Kensington Place) and the food on offer is promised to have classic and contemporary European influences. The menu for Restaurant Ours is as-of-yet unannounced, but if it’s as adventurously intriguing as the Michelin-starred Restaurant Story, guests of this new venue are going to be in for a real treat. Restaurant Ours is set to open in march and can be found at 264 Brompton Road, London, SW3 2AS.